With the many efforts of MC2, one program comes to front of the line when experiencing personal engagement and impact to the community. 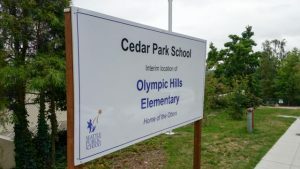 The Lake City After School Program at Olympic Hills Elementary School (OHE) approaches its fourth year of support with the English Language Learning component. Unique within the Seattle School District, it is also perfectly placed for a community rich in diversity and opportunity. 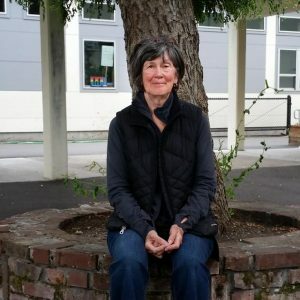 What makes this program tick, besides the great community support and generous volunteer mentors, is the retired Language professional who is the onsite Coordinator for the Lake City After School Program. Ms. Sue, as she’s called by students, offers up a richly diverse work experience, creative energy and a heavy educational experience that benefits students, volunteer mentors and onsite educational professionals (teachers! ), which MC2 is there to support. As a cog in the wheel of ELL support at Olympic Hills, Sue Wallace’s career spans the globe in her language support for those most in need. The Soviet Union, and rural India are two such places of influence. She is actually a student of the Hindi language, to better support her yearly volunteer visits to India and the college there. As the long time Director of ESL/Bilingual Education for the Highline School District, she brought in development, management, training and collaborative environment to a growing and diverse community. Additionally, as a UW ESL Endorsement Program instructor, she was able to connect with like-minded instructors statewide. A huge highlight to her work is the experimental bilingual preschool program (SIOP/’sheltered instruction’) built to serve, at the time, new immigrant children from Cambodia and Viet Nam. Retired since 2009, the Lake City community has benefited from the vision of Ms. Wallace and MC2’s goal of CARE for all. Church, community groups and businesses understand the need to welcome and educate those new to our community. Having this outreach in a school that supports students with 19 world languages to its student body is impressive and inspiring. Thanks, Ms. Sue.